Since ages the construction industry has been experiencing rapid evolution both aesthetically as well as in functionality. Polyester films have played a vital role in this evolution. Apart from aesthetics, Polyester Films deliver the desired structure reinforcement & protection, which ensure that they withstand various adverse conditions. Ester offers specialised Polyester Films (like High Roughness, Matte, and Release Liner) which are known to provide excellent durability in various construction applications like Thermal Transfer, Fiber Reinforced Panel/ Glass Reinforced Panel (FRP/GRP) , Casting & Release, and Shingles. 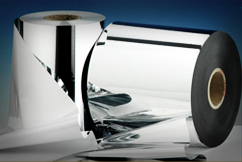 These films are designed to ensure optimal performance during application. Due to their high mechanical strength, high temperature-resistance capability and chemical resistance, these films emerge as an excellent choice among construction panel manufacturers for casting, embossing or laminating applications.